The POST Commission forms a balanced group of city and county administrators, law enforcement professionals, educators, and public members. The Governor appoints 15 of the Commissioners, with the advice and consent of the Senate, for three-year overlapping terms. The Attorney General is an ex-officio member and serves as the 16th POST Commissioner. The Commission meets three times a year to establish standards, regulations, and to give direction to POST staff. Commissioners serve without pay, but are reimbursed for their expenses for attending meetings. All Commission meetings are open to the public. View upcoming Commission Meeting schedule. View previous Commission Meeting Agendas, Action Summaries, and Minutes. Joyce Dudley began her career in the Santa Barbara District Attorney's Office in 1990. She was elected District Attorney in 2010. 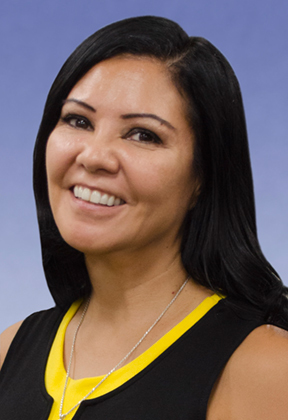 Joyce joined the District Attorney's office after obtaining two Masters Degrees in Education and having a successful career as an Educational Administrator. Joyce has prosecuted well over one thousand cases and received numerous awards for her outstanding performance and volunteer activities from law enforcement and community organizations. Since becoming District Attorney, she has implemented significant organizational changes as well as created programs and criminal task forces including Arson, Anti-Animal Abuse, Human Trafficking, while expanding the Vulnerable Victims, Gang, and White Collar Units. Joyce has also added a Canine Companion program, a Truancy Program, and a misdemeanor diversion program. Rick Braziel was a member of the Sacramento Police Department for over 33 years including 5 years as Chief. He consults and instructs in Teambuilding, Communications Skills, Community Policing, and Leadership. Rick is an Executive Fellow at the Police Foundation. He was the lead investigator in the review of the police response to Christopher Dorner. He was part of a team reviewing the riots in Ferguson Missouri and the St. Louis County Police Collaborative Reform Initiative. Rick also completed a review of the Stockton Police response to the Bank of the West robbery and hostage taking. Rick is co-author of the book, Cop Talk: Essential Communication Skills for Community Policing. 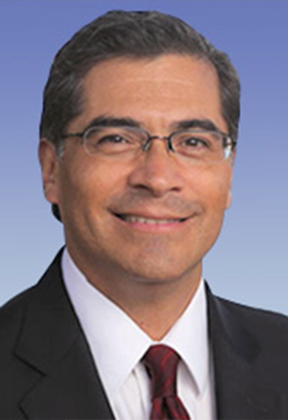 Attorney General Becerra served 12 terms in Congress as a member of the U.S. House of Representatives and served on the Committee on Ways And Means. He served as Chairman of the House Democratic Caucus, and as member of the Ways and Means Subcommittee on Social Security. Attorney General Becerra served one term in the California Legislature as an Assembly representative of the 59th Assembly District in Los Angeles County. He is a former Deputy Attorney General with the California Department of Justice. 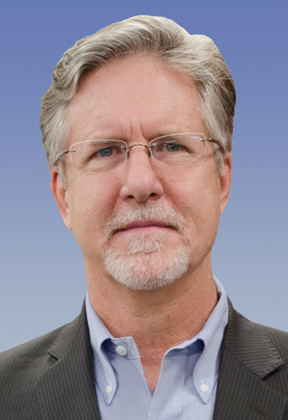 Born in Sacramento, he began his legal career in 1984. Attorney General Becerra earned a Bachelor of Arts in Economics from Stanford University and his Juris Doctorate from Stanford Law School. Alan Barcelona leads the California Statewide Law Enforcement Association, CSLEA, an organization that is the central thread in the public safety net of California. Mr. Barcelona took over CSLEA when it was on the brink of bankruptcy and turned it into a solvent, cohesive organization with a mission and purpose that have earned it the respect of governors and lawmakers in Sacramento. In addition to his duties as president of CSLEA, Mr. Barcelona is also a Special Agent for the California Department of Justice (DOJ). Prior to becoming a DOJ agent, he was a Senior Investigator for the California Department of Motor Vehicles (DMV). Mr. Barcelona started his law-enforcement career in 1981 as a Stanislaus County Deputy Sheriff, where he served as a Jail, Patrol, and SWAT Team officer. He also has taught at two police academies, Modesto Junior College and Delta Junior College in Stockton, CA. Mr. Barcelona received his Bachelor of Science degree from the University of San Francisco, CA, and his M. Ed. from the University of La Verne, CA. Lai Lai Bui is a sergeant with the Sacramento Police Department, assigned to the Patrol Division. She has served as a narcotics investigator, gang investigator, patrol officer, and problem-oriented police officer. She is also a POST instructor and is certified in Integrated Narcotics Training. Thomas Chaplin became the tenth Chief of Police of the Walnut Creek Police Department in 2013. He began his career with the Sacramento Police Department in 1989 and worked for the California Department of Justice from 2001 to 2006. In 2006, he joined the Citrus Heights Police Department as a member of the start-up team. He is on the California Police Chiefs Association Board of Directors and co-chairs the Training Committee. 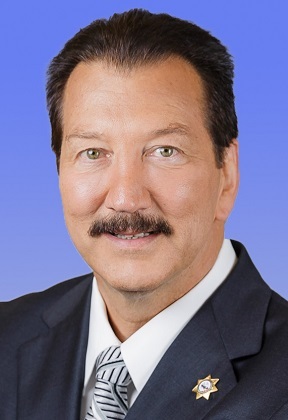 Tom holds a Bachelor of Science Degree in Occupational Studies, and a Master's degree in Emergency Services Administration, from California State University, Long Beach. He is a graduate of the CA POST Command College and has published an article in the Journal of California Law Enforcement entitled; Cybercriminals have Passed Law Enforcement By. Let's Catch Back Up! Barry Donelan has been with the Oakland Police Department for 17 years and promoted to Sergeant in 2006. He worked Patrol until transferred to CID in 2007 which is his current assignment. He has been on the Oakland Police Officers Association's Board of Directors for 12 years and is currently in his 6th year as Association President. 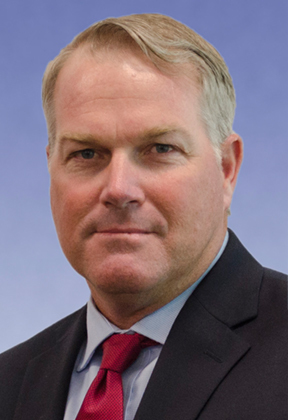 Sergeant Donelan has also served as an Executive Board Member with Police Officers Research Association of California (PORAC) for the last 6 years and has recently been appointed to PORAC Legal Defense Fund's (LDF) Board of Trustees. 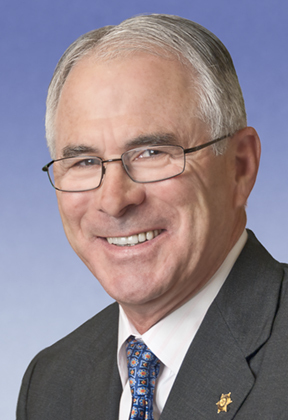 Robert T. Doyle has served as sheriff of Marin County since 1996. He joined the Marin County Sheriff's Department in 1969 and served as undersheriff from 1989 to 1996. He is past president of the California State Sheriffs' Association and chairman of the Legislative Committee. 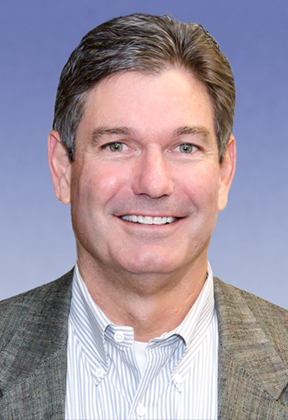 Geoff Long served 33 years with the California Legislature, most recently as Policy Director for Senate President pro Tem Kevin de Leon. Geoff served as Chief Consultant to the Assembly Appropriations Committee for 20 years under seven chairs, where he also was responsible for all criminal justice legislation. 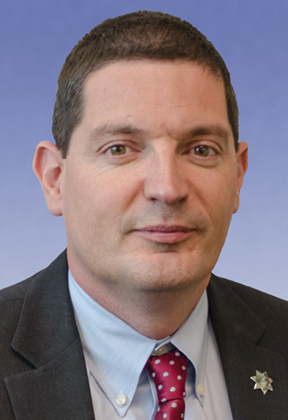 Prior to Appropriations, Geoff served as Chief Consultant to the Assembly Budget Committee and the Assembly Ways and Means Committee, where he was also responsible for all criminal justice legislation and budgets. 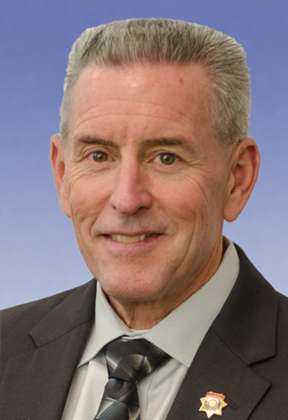 Sheriff John McMahon was appointed to Sheriff-Coroner in 2012 and elected to the office in June 2014. He currently serves as the 35th elected Sheriff of the San Bernardino County; the largest geographic county in the United States. He began his career as a Deputy Sheriff in 1985 and promoted through the ranks of Corporal, Sergeant, Lieutenant, Captain, Deputy Chief and Assistant Sheriff. The Sheriff is a current member of the California State Sheriffs' Association, Major County Sheriffs' Association, and National Sheriffs' Association. He holds a Bachelor's of Science degree in Criminal Justice Management from Union Institute & University. John has led his Department through numerous critical incidents, including the Christopher Dorner Manhunt and the Terrorist Attack at the Inland Regional Center on December 2, 2015. Rev. Jethroe (Jeff) Moore II received an Associated Arts Degree from Evergreen Valley College and a Bachelor of Science Degree in Bible and Theology, Management and Ethics from San Jose Christian College. 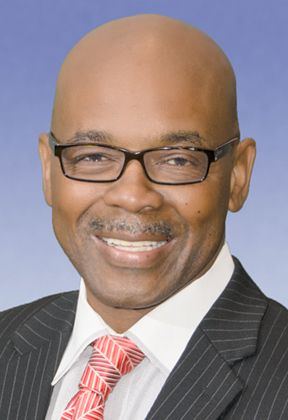 He serves as President of the San Jose/Silicon Valley National Association for the Advancement of Colored People (NAACP), he served on the Independent Police Auditor Committee (Past) San Jose Police Department Community Advisory Board in 2012, the Santa Clara County Court Community Leadership and Liaison Program and is a Graduate of Class 12 of the Northern California FBI Citizens Academy. James O'Rourke began his career with the California Highway Patrol in 1998 and promoted to the rank of sergeant in 2007. He has had multiple assignments to include patrol, bicycle patrol, investigations, and sixteen years of SWAT experience. He has eight years of experience instructing Active Shooter tactical training for law enforcement as well as Active Shooter response training for civilians. He has served on the board of the California Association of Highway Patrolmen since 2017 and is the current Supervisory Director. Batine Ramirez has served as a deputy sheriff with the Placer County Sheriff's Department since 1999. She has completed multiple assignments including Jail Custody, Death Investigations, and is currently a narcotics investigator. She has served on the Placer County Deputy Sheriffs' Association since 2009 and is the current association President. Laurie Smith has served as sheriff of Santa Clara County since 1998, and as assistant sheriff from 1990 to 1998. 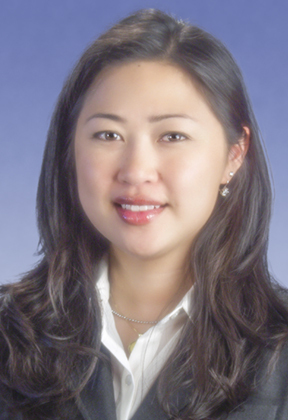 She is also a member of the Office of the Attorney General's Blue Ribbon Commission on SWAT Practices and Policies. Walt Vasquez was sworn in as the Chief of Police for the La Mesa Police Department on April 6, 2015. Before his selection as La Mesa's 11th Chief of Police, Chief Vasquez spent 28½ years with the San Diego Police Department where he retired as an Assistant Chief of Police. As Assistant Chief with SDPD, he oversaw the Patrol Division, the Canine Unit, SWAT, Communications Division, the Property Room, Information Services, and the Chief's Community Advisory Boards. Chief Vasquez obtained his Bachelor of Science Degree in Business Management in 1999 and he graduated from the FBI National Academy in 2007. He was the President of the California Chapter of the FBI National Academy Associates in 2014 and continues to be active in this world-wide organization. Chief Vasquez is also on the Board of Directors of San Diego Youth Services. Chief Vasquez is an avid runner and has competed in the Law Enforcement Baker to Vegas Relay race for the past 22 years. On three occasions, his team won the race, which is a competition between approximately 240 teams from across the country.